In 1978 when I joined my first company, information about how to start companies simply didn’t exist. No internet, no blogs, no books on startups, no entrepreneurship departments in universities, etc. It took lots of trial and error, learning by experience and resilience through multiple failures. The first few months of my startups were centered around building the founding team, prototyping the product and raising money. Since I wasn’t an engineer, my contribution was around the team-building and fund raising. In hindsight startups and the venture capital community left out the most important first step any startup ought to be doing – hypothesis testing in front of customers- from day one. I’m convinced that starting a company without talking to customers is like throwing your time and money in the street (unless you’re already a domain expert). 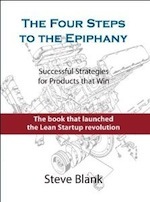 This mantra of talking to customers and iterating the product is the basis of the Lean Startup Methodology that Eric Ries has been evangelizing and I’ve been teaching at U.C. Berkeley and at Stanford. It’s what my textbook on Customer Development describes. 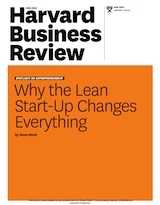 After teaching this for a few years, I’ve discovered that subjects like Lean Startups and Customer Development are best learned experientially rather than solely theoretically. Remember your parents saying, “Don’t touch the hot stove!” What did you do? I bet you weren’t confused about what hot meant after that. That’s why I make my students spend a lot of time “touching the hot stove” by talking to customers “outside the building” to test their hypotheses. However, as hard as I emphasize this point to aspiring entrepreneurs every year I usually get a call or email from a past student asking me to introduce them to my favorite VC’s. The first questions I ask is “So what did you learn from testing your hypothesis?” and “What did customers think of your prototype?” These questions I know will be on top of the list that VC’s will ask. Sigh. Fundraising isn’t the product. It’s not a substitute for customer input and understanding. Sometimes you need a few more lessons touching the hot stove. The most important early customers for your startup usually turn out to be quite different from who you think they’re going to be. I thought nothing about the meeting until years later. Long gone from Zilog I saw the picture of the original Macintosh design team. The field service guy I had sold the chip to was Burrell Smith who had designed the Mac hardware. The SCC had been designed into the Mac and became the hardware which drove all the serial communications as well as the AppleTalk network which allowed Macs to share printers and files. Some sales guy who was too busy to take the meeting was probably retired in Maui on the commissions. For years I thought this “million unit chip sale by accident” was a “one-off” funny story. That is until I saw that in startup after startup customers come from places you don’t plan on. Unfortunately most startups learn this by going through the “Fire the first Sales VP” drill: You start your company with a list of potential customers reading like a “who’s who” of whatever vertical market you’re in (or the Fortune 1000 list.) Your board nods sagely at your target customer list. A year goes by, you miss your revenue plan, and you’ve burned through your first VP of Sales. What happened? 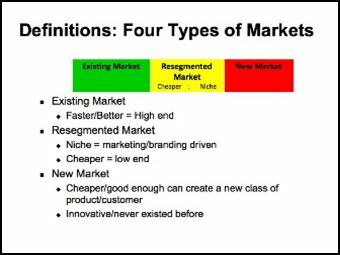 What happened was that you didn’t understand what “type of startup” you were and consequently you never had a chance to tailor your sales strategy to your “Market Type.” Most startups tend to think they are selling into an Existing market – a market exists and your company has a faster and better product. If that’s you, by all means hire a VP of Sales with a great rolodex and call on established mainstream companies – and ignore the rest of this post. I advise startups to first go after the companies that aren’t the market leaders in their industries, but are fighting hard to get there. (They usually fit the checklist above.) Then find the early adopter/internal evangelist inside that company who wants to gain a competitive advantage. These companies will look at innovative startups to help them gain market share from the incumbent. 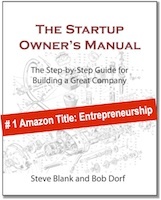 The other place for a startup to go is the nooks and crannies of a market leader. Look for some “skunk works” project where the product developers are actively seeking alternatives to their own engineering organization. In Apple’s case Burrell Smith was designing a computer in a skunk works unbeknownst to the rest of Apple’s engineering. He was looking for a communications chip that could cut parts cost to build an innovative new type of computer – which turned out to be the Mac. I’ve screwed up a lot of startups on faith. One of the key tenets of entrepreneurship is that you start your company with insufficient resources and knowledge. At first, entrepreneurship is a Faith-based initiative. There is no certainty about a startup on day-one. You make several first order approximations about your business model, distribution channels, demand creation, and customer acceptance. You leave the comfort of your existing job, convince a few partners to join you and you jump off the bridge together. At each startup I couldn’t wait to do this. No building, no money, no customers, no market? Great, sign me up. We’ll build something from scratch. You start a company on a vision; on a series of Faith-based hypotheses. However, successfully executing a startup requires the company to become Fact-based as soon as it can. Ad infinitum. These customer and market risks need to be translated into facts as soon as possible. Or you can quickly get out of the building and test whether your hypothesis were correct and turn them into facts. In hindsight, when I was young, this where I went wrong. It’s a lot more comfortable to hang on to your own beliefs than to get (or face) the facts. Because at times facts may create cognitive dissonance with the beliefs that got you started and funded. This strategy of starting on faith, and quickly turning them into facts is the core of the Customer Development process.